The National Ice Hockey League (NIHL) have confirmed details for the 2017/18 season finale, the NIHL Final Four. This event takes place at Coventry’s Skydome Arena on the weekend of Saturday and Sunday 7/8 April and will decide the league’s first National champion. 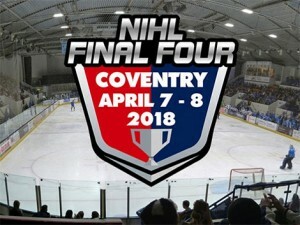 Following a three-week playoff campaign in the NIHL North and South featuring the top eight sides in each division, the respective playoff finalists will head to Coventry to contest the Final Four weekend. Saturday’s schedule will see the NIHL North 1 playoff champions take on the South 1 playoff runners up in the first semi final at 1300 before the reverse fixture, NIHL South 1 playoff champion versus North 1 runners up completes the lineup at 1700. On Sunday the first game at 1230 is an NIHL 2 Championship game between the League winners of Laidler (North 2) and Wilkinson (South 2) divisions. This is followed by the NIHL Final Four ‘Grand Final’ at 1630 with the winners being crowned National champion. Tickets for the Final Four weekend will be on sale exclusively from the Skydome box office from 10am on Monday February 26th and are priced at £38 for adults and £20 for concessions. The Skydome box office is 02476 630693 (Option 0). A link for online purchases will be available in advance of tickets going on sale. Enquiries for hospitality boxes should be sent to media@eiha.co.uk in the first instance. League manager Richard Carpenter said: “The NIHL Final Four is set to be a fitting conclusion to the season, with the best four NIHL 1 playoff sides battling out for our first true National title. The NIHL 2 championship game is a great addition to the programme and another intriguing North v South battle. 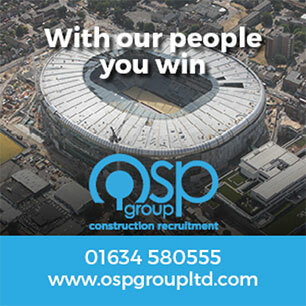 “We’re grateful to Planet Ice for their help in making the arrangements and I’m sure supporters will agree the tickets are priced very well for four competitive fixtures with the very best NIHL sides on show.